← DIY Caramel Corn and other great gift ideas from Easybaked! Oh yes…. sooooo good! 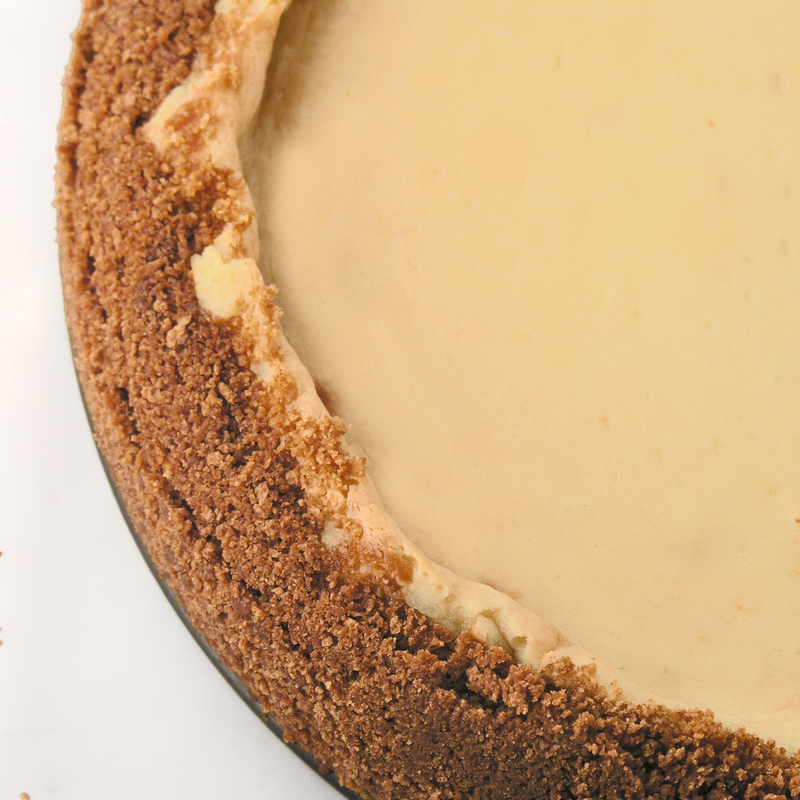 My aunt used to make a pie with a corn flake crust, dulce de leche and whipped cream to cover everything…. Mmmmm! Yum!!! That sounds wonderful! I love cereal in crusts….! What a fabulous idea! I will have to try this sometime. Well, I can’t take credit for the idea…only the bravery ;). I hope you do get to try it!! I kept my leftovers in the refrigerator. They were gone pretty quickly, but I would imagine this would stay good in the fridge for at least a week…? YUM. 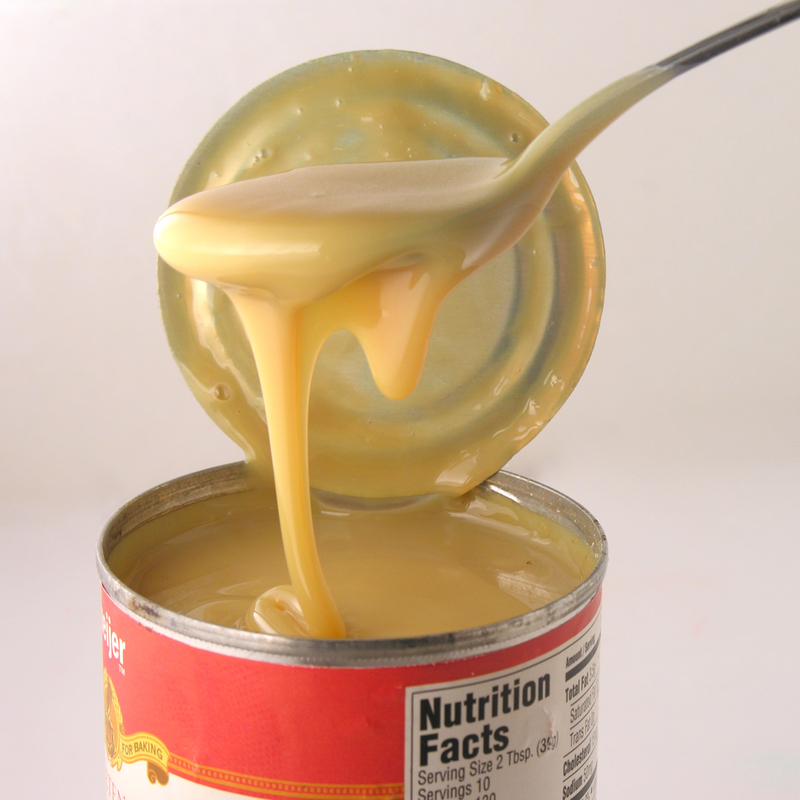 I love condensed milk. I would be totally freaked out too!! Glad it turned out so perfectly, who would have thought?? Exactly….who would have thought….? I just had my 2nd piece of the cheesecake and the caramel….yum….I’m going to do this again. I just need 3 hours at home….! I feel like almost everyone I talk to has heard about this but is too scared to try it…lol. It is WORTH it. Really good caramel! 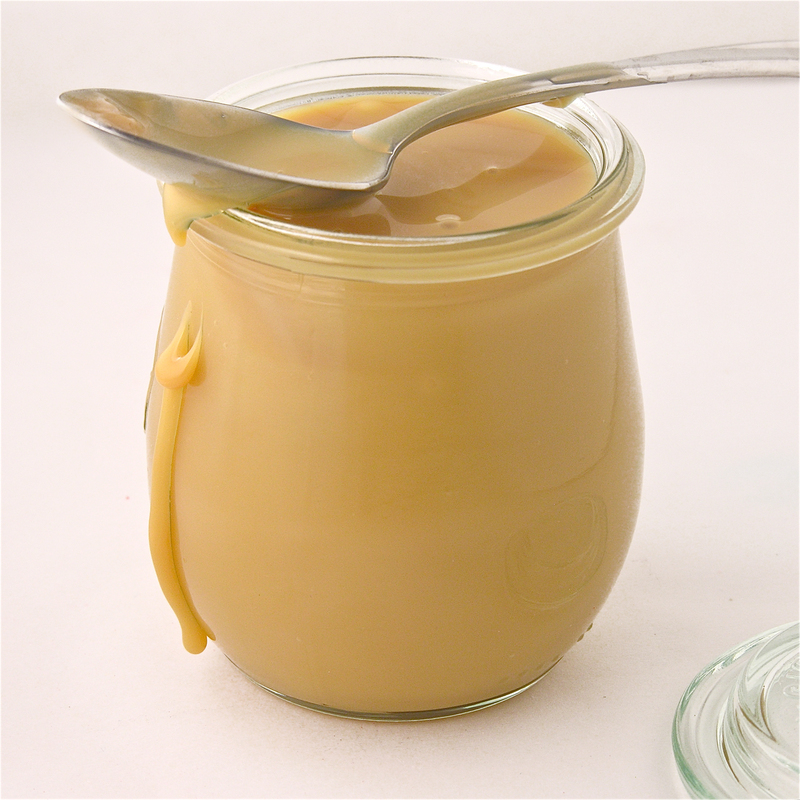 so cool that you made dulce de leche from scratch! they love it here in Argentina, and almost every dessert has dulce de leche in it! plus its so readily available in supermarkets that Ive never thought to make it! Jealous!!! I’m visiting Peru next spring and I’m *so* excited to try all the fun new foods!!! I love it, I have been living in Chile for two years and I used to have dulce de leche (manjar) with churros, ummmm delicious!!! Yum- I LOVE churros….I’ve had them in Mexico- but my favorites were in Spain- churros y chocolate…oh my. I need to make those- got a good recipe? Oh wow! That looks fabulous! I would never in a million years thought to do that! Yum! I wouldn’t have either…! Glad I tried it though! Try cooking it in your crockpot next time. Put a layer of aluminium foil in the bottom, set two cans of condensed milk on top, then fill with water until the tins are completely covered. Turn the crockpot on low and leave to cook overnight, or for at least 8 hours. Easy! Hi Nicole! I read about that method- but 8 hours of worrying it might explode seemed worse than 3- lol! I might try it next time though!! It’s good to hear from someone who had success with it! 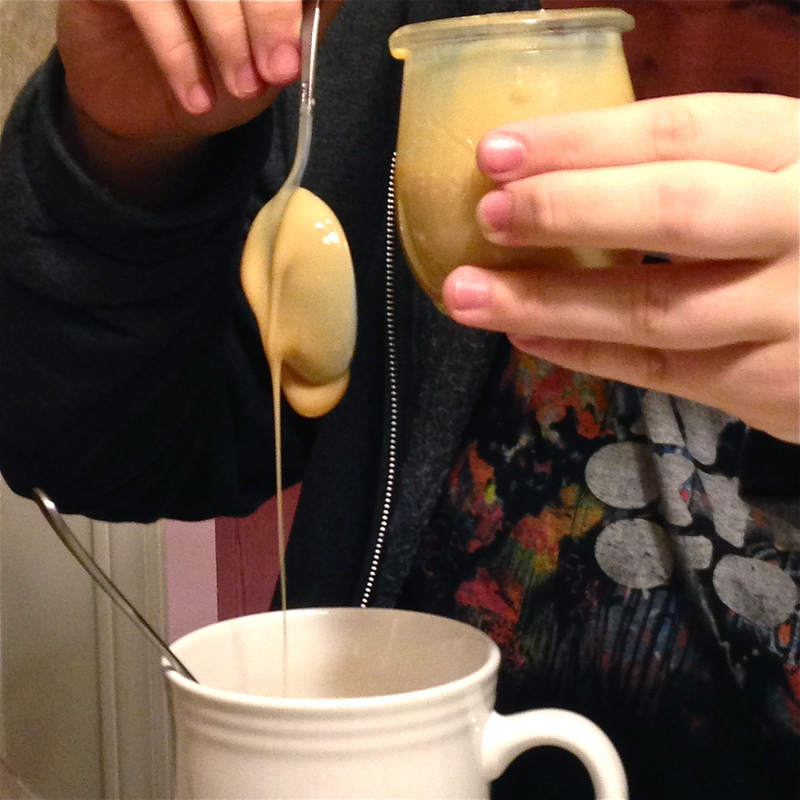 My mom makes her caramel sauce the same way. It’s easy but you do need some spare time for this. I’ve never tried it yet and I think I’ll just stick to making my own sauce in a pan. I’m not a fan of all the stress in case the can explodes… although making caramel is not without danger either… choices choices! Now that I’ve tried it I can see why people do it- honestly, my family *loved* the caramel. I like it because I didn’t need any kind of a candy thermometer- lol! I was visiting a friend in the Dominican Republic and her mother told me how to do this but since she didn’t speak English and I didn’t speak much Spanish…I never made dulce de leche. I had no idea it could explode…that didn’t get mentioned. 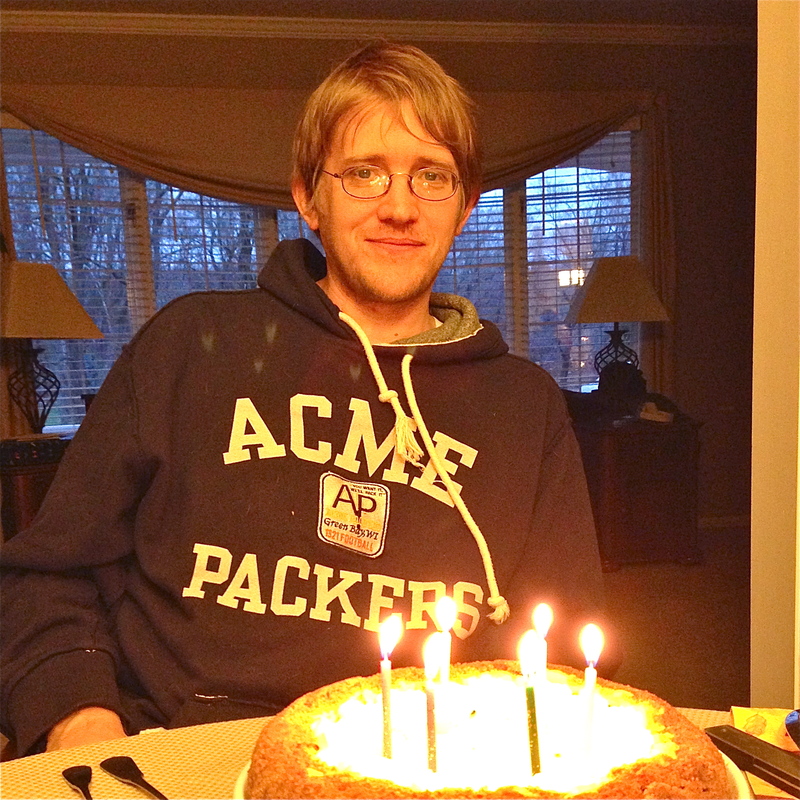 Your cheese cake must have been delicious. I cook my condensed milk in a pressure cooker. 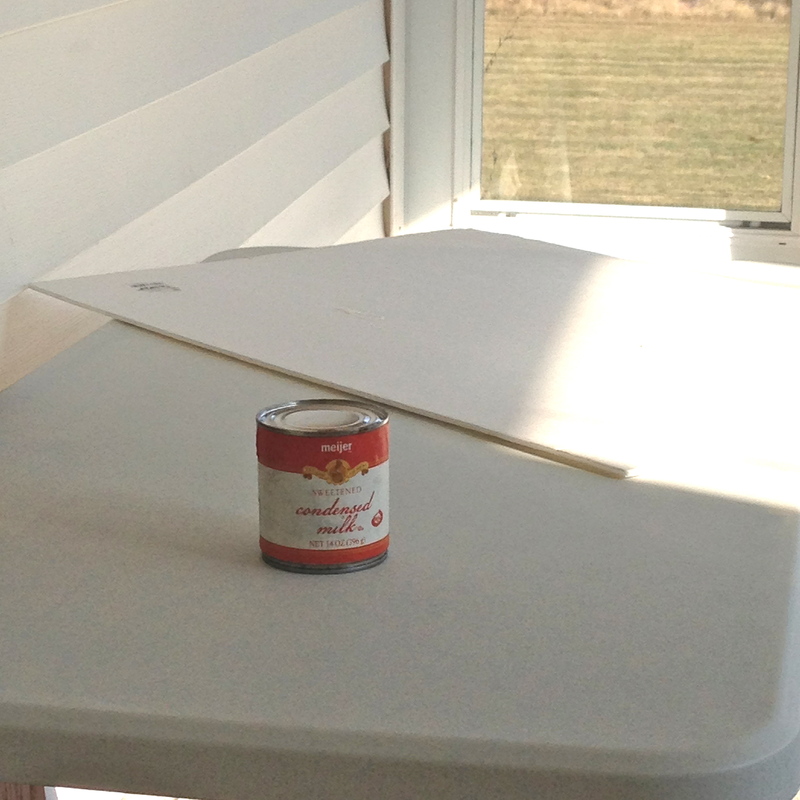 You MUST remove all and any wrappings from de can so it won’t get loose while cooking and obstruct the valve. You may cook multiple cans at once, as long as they are totally submersed in the water and there’s still one inch of air between the top of the water and the lid of the pressure cocker. With the lid well secured, put the pressure cooker on high heat until it gets pressure (the valve starts moving), turn the heat down to medium and count 30 minutes. The longer you cook, the harder the caramel will get. VERY IMPORTANT: after you’re done cooking, you MUST relieve the pressure from the cooker BEFORE unlocking the lid or it WILL EXPLODE on your face and cause serious injuries and burns. To relieve the pressure, you can eighter lift the valve with a fork or put the whole thing under cold running water until no more vapor comes out from the valve. coffee. 🙂 Great desserts here on your blog. Thanks for sharing. It is pretty good in coffee I think! You can do this in less time using a pressure cooker just submerge three quarters of the can and use the pressure for about 45 min then let the hot steam out cool it for about 30 min and thats it less time and no worries . Thank you for sharing this with us! I don’t have a pressure cooker, but this us great info for any reader that does!! Can you use a can with a pull tab lid? I think that would be a bad idea. There’s so much pressure as it boils for so long. I’ve never tried it, but I don’t think I would take the chance…? I think I’ll do it in the crockpot but plug it in outside on a deck. Good luck!!! Tell us how it goes!!! Our family has been making this for years and no explosions! We simmer the cans for 4 or 5 hours and the caramel becomes really thick and rich – so much so, that we put it into tart shells and it keeps its shape when cut. Also, we let it cool in the water, sometimes cooking it in the afternoon and leaving it to cool overnight. No explosions, but make sure there is water covering the cans the whole time. Oh thanks for reassuring me (and the rest of us!) I’m SO tempted to pop some cans in right now and cook them longer to get the thick consistency you’re talking about- a caramel tart…? YUM!!! Again, thanks for stopping by and sharing your experience with us!! I tried this and although the caramel was perfect, I had a horrible stain in my pan! Now, I open the can of sweetened condensed milk and pour the contents into a small crock pot. Stir it every few hours and you get the same delicious caramel without worrying about a can exploding! Great idea! I wonder what stained your pan..? The can? Thanks for sharing your tip!! I made some in the slow cooker yesterday – 8 hours on low, completely covered in water – and when I took it out – oh heavens. Utterly gorgeous, besides you don’t have to worry about the pan exploding or topping up the water. That sounds a lot less scary…! Thanks for sharing! !